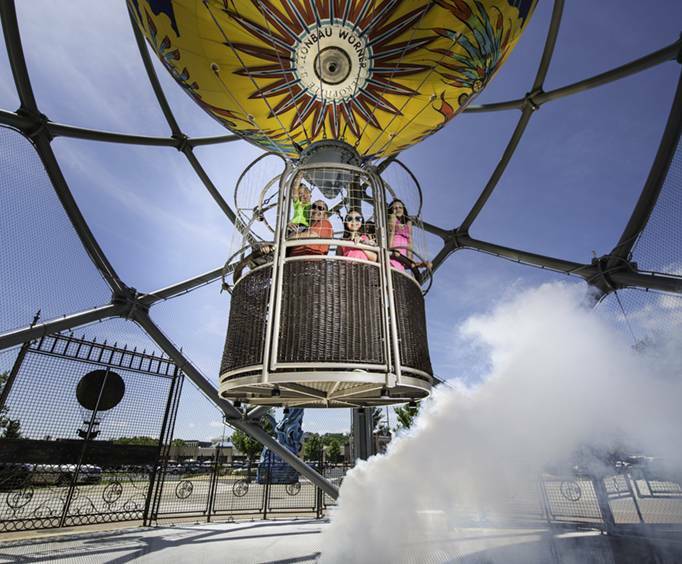 Branson Landing is now offering a one-of-a-kind experience; Parakeet Pete's Waterfront Balloon ride is a unique attraction for all ages. Rising up to 180 feet, this ride gives you a complete 360° view of Branson Landing as well as Lake Taneycomo. 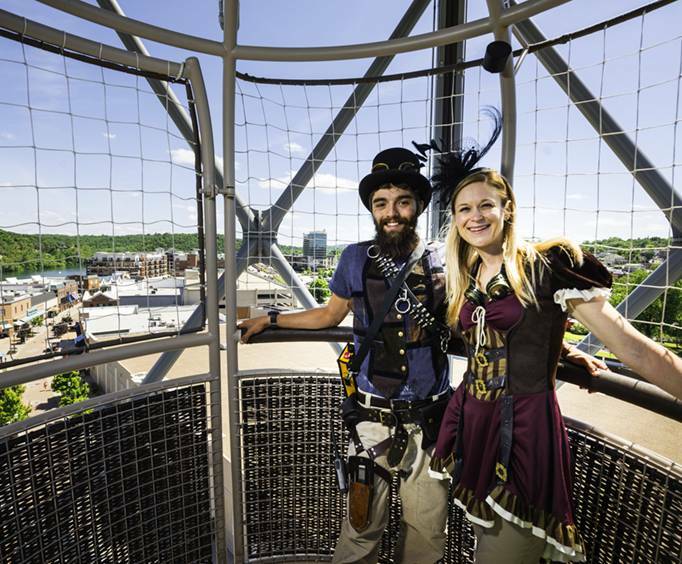 Held within a tower, the hot air balloon ride is not tethered with weather conditions, allowing it to operate outside of normal hot-air-balloon-friendly weather and wind. As well as this, the balloon ride is handicap accessible, holds up to 15 passengers, and has no age restriction, making it perfect for the entire family. Come down to the Landing to experience this unique ride! 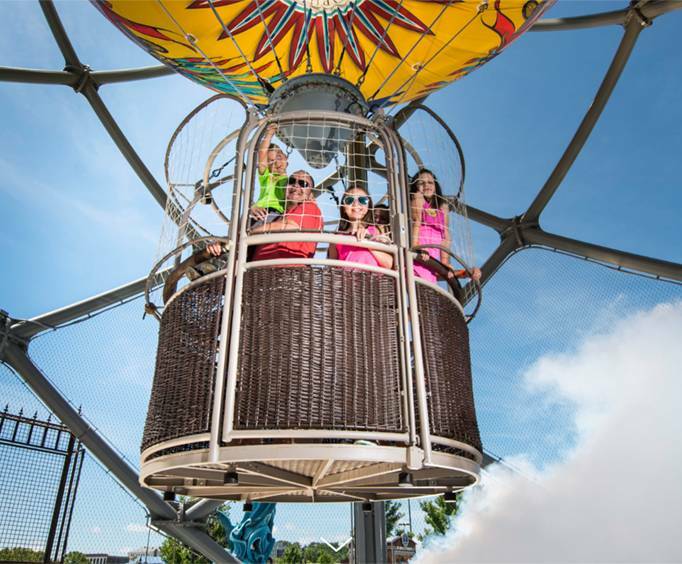 Parakeet Pete's Waterfront Balloon ride is perfect for those who have never experienced a hot air balloon ride or for those seeking an adventure. What is included in the admission price for Parakeet Pete’s Waterfront Balloon at Branson Landing? Includes one ride on the balloon. Approximately how long could a customer plan to spend at Parakeet Pete’s Waterfront Balloon at Branson Landing? Ride lasts approximately 10 minutes. What amenities (such as ATM, gift shop, etc) are available? This is at Branson Landing which has shops, restaurants, etc. Are wheelchairs and strollers available? Is there a rental fee? Is Parakeet Pete’s Waterfront Balloon at Branson Landing handicap accessible? Is photography & video recording allowed? For what ages is Parakeet Pete’s Waterfront Balloon at Branson Landing appropriate? Is parking available at Parakeet Pete’s Waterfront Balloon at Branson Landing? Is it free? Parking is available at Branson Landing's parking garages.